D'Ormesson, Olivier (b. 1983, Paris). French organist and composer. The organist and composer Olivier dORMESSON started to study the organ in 1997 with Frédéric DESENCLOS and Olivier HOUETTE, while also receiving valuable advice from Susan LANDALE and Michel BOURCIER. He joined the Conservatoire National de Region in Saint-Maur-des-Fossés, where he was taught by Eric LEBRUN; in June 2007 he received a 1st Prize for organ and in June 2009 a 1st Prize in advanced organ studies. In 2008, he recorded on the great Cavaillé-Coll organ of the church of Saint-Antoine-des-Quinze-Vingts (Paris) the complete biblical cycle Job by the Czech composer Petr Eben (1929-2007), with the tenor Hervé Lamy singing the Gregorian chant (Psalmus). Olivier dOrmesson studied composition and musical culture with Valéry AUBERTIN from 2006 to 2010. 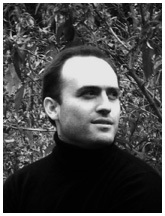 Since September 2010 he has continued his studies with the composer Benoît MERNIER. In September 2008 he completed his second opera Le Roi au masque dor after the short story by Marcel Schwob. He is also the author of a Lamento for cello solo, Le dernier chant du monde, a sonata for clarinet, Acedia, a sonata for cello and piano, Chant despoir vers linfinie dune âme en peine, Quatre Miniatures for piano, a partita for two violas Vor Sonnenaufgang and a Sinfonia da Camera. Olivier d'Ormesson : Requiem pour le Salut d'une âme errante. Enregistrement Inédit par la compagnie La Tempête en lEglise Saint-Antoine-des-Quinze-Vingts (Paris) - Direction Simon-Pierre Bestion  Adèle Carlier, soprano  René Ramos, baryton  Gabriel Bestion de Camboulas, orgue. - 1 CD Durée 7925 - Livret 16 pages (texte Français, latin, allemand) - 2015.